In a breakthrough development to Russian MRO industry, S7 Technics has commenced work under a five-year MRO contract signed with Kazakhstan’s Air Astana. Russia’s leading aircraft maintenance service provider won the open tender for the contract in the summer of 2018, the fact revealed only now. Under the arrangement, S7 Technics will perform C-checks on the Airbus A320 family of narrow-body aircraft and Boeing 767 wide-bodies operated by Air Astana. The deal means the Kazakh flag carrier has become the first international airline to agree such a long-term and large-scale contract with Russia’s S7 Technics (S7T). The first aircraft Air Astana sent for a shop visit to S7T was a Boeing 767. In February the Russian service provider’s team completed a C-check on this aircraft at S7 Technics’ Novosibirsk site at Tolmachevo airport. 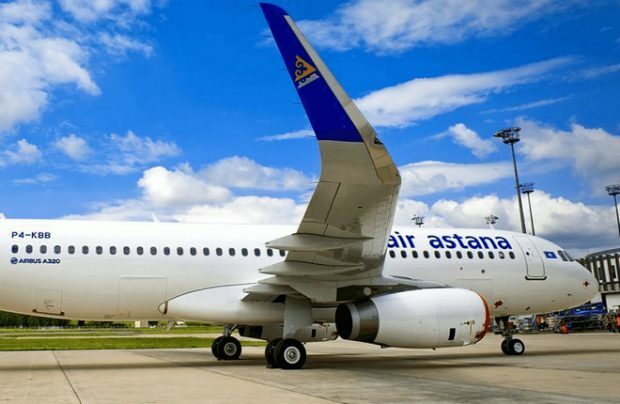 “The airline [Air Astana] has never [before] turned to maintenance service providers in Russia or the CIS, as it previously opted only for the leading maintenance providers of Asia and Europe. “We are confident that this new partnership with S7 Technics is proof that the level of continued airworthiness services for western-built airliners in Russia has improved significantly,” Igor Panshin, deputy general director for marketing and sales at S7 Technics. Last week S7T have completed its second check this year, and have got three more scheduled before the summer at our Mineralnye Vody and Novosibirsk sites. In total, there are more than 40 base maintenance checks on Air Astana aircraft scheduled for completion up to the 2023-2024 timeframe, Panshin adds. Apart from Air Astana, S7 Technics has co-operations with other leading airlines from within the CIS. The company’s Mineralnye Vody base also provides regular maintenance checks under contracts with international leasing companies.